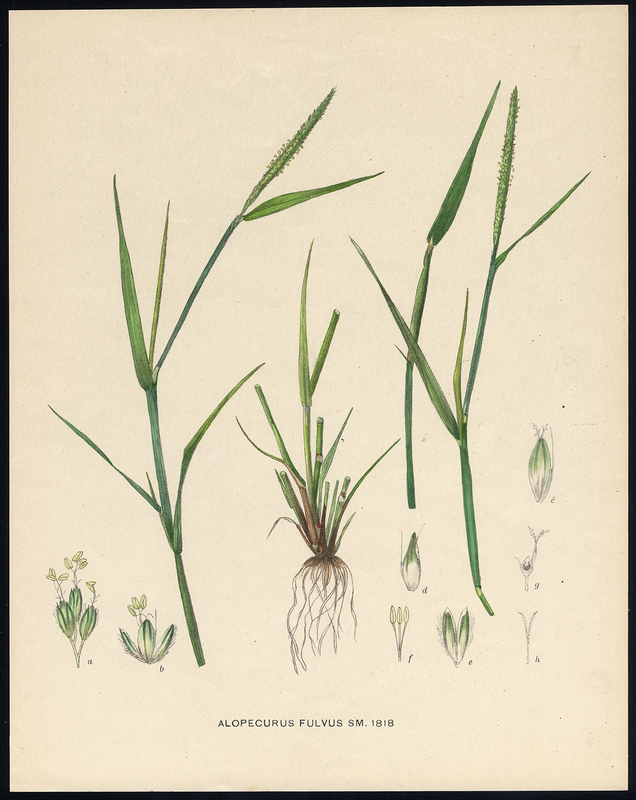 Subject: Antique print, titled: 'Alopecurus Fulvus' - Shortawn foxtail or orange foxtail grass species (current name: Alopecurus aequalis). Size (in cm): The overall size is ca. 24 x 31 cm. The image size is ca. 24 x 31 cm. Size (in inch): The overall size is ca. 9.4 x 12.2 inch. The image size is ca. 9.4 x 12.2 inch.